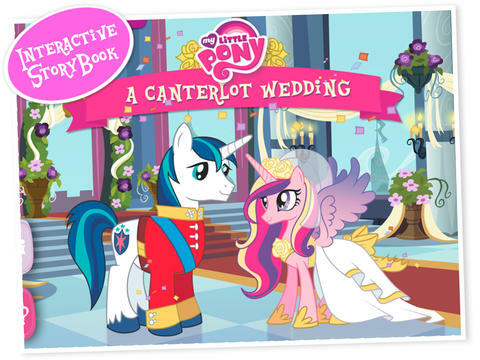 My Little Pony is a favourite with most little girls, and this latest App, A Canterlot Wedding is a lovely interactive storybook with activities that can be played over and over again. The story follows the preparation for the Royal Wedding. Princess Celestia, the bride to be has allocated jobs to each of the ponies in Canterlot, but they need help to carry them out. The images are bold and bright in this My Little Pony storybook, something Miss M really enjoyed looking at and listening to. The word are written on each page, but also read out loud and you are prompted when to turn the page. During the story, there are opportunities to help the ponies carry out their jobs, such as decorated the wedding cake, choosing the bridal outfit for Princess Celestia and picking flowers. Miss M really had fun going through the storybook with a smile on her face as she turned each page to see what came next. I asked her opinion of the My Little Pony storybook at the end and she said “I loved it”. I thought this was a lovely app, then many young girls would enjoy although I would say Miss M, at 6 is at the upper age range to enjoy this. 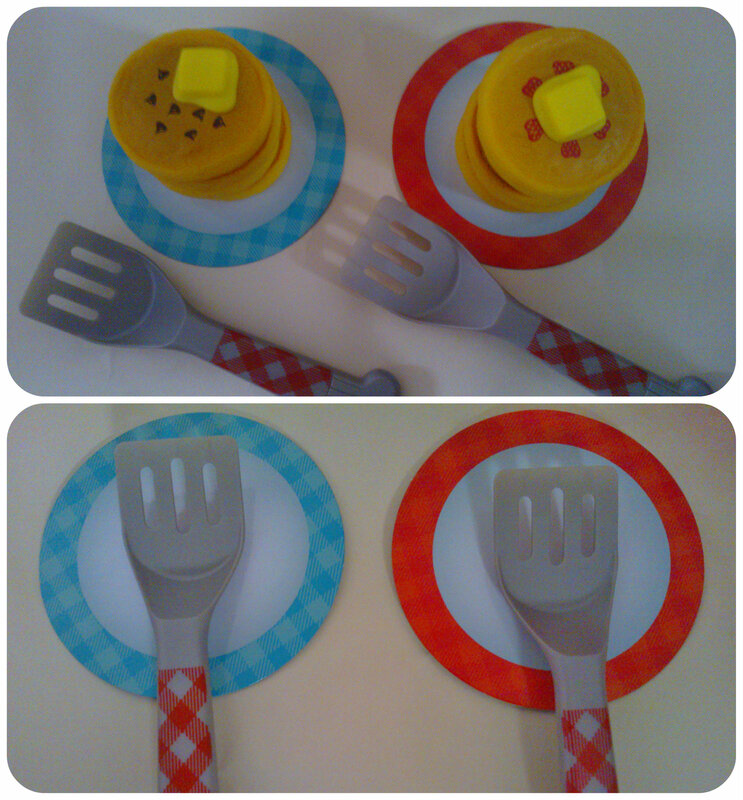 I think girls aged 3-6 years would really get the most out of this and go back to it again and again. The app is available through iTunes and is currently half price, so now’s the time to buy a copy if you know a little girl that might like this. All reviews are my own and my family’s opinions and we received a free code in order to try out the app and write the review. 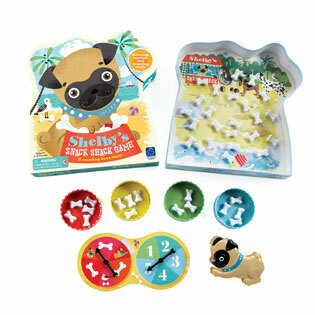 Our final toy in HABA’s 75th Anniversary celebration is a very cute little game called Catch Me! 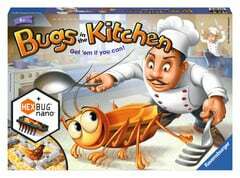 a cat and mouse game in a tin. Catch Me! 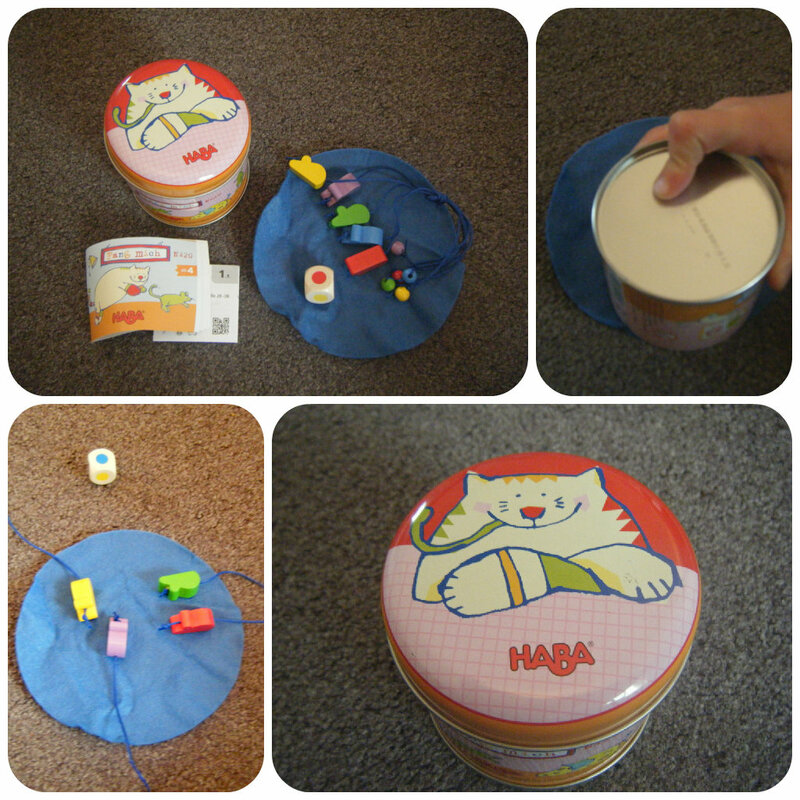 by HABA is a simple but fun game that packs away in a small tin, ideal for travel, out and about etc. 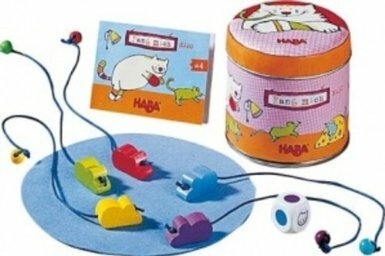 The game uses the tin as the role of the cat and the players have to pull their mice off the circle of felt as quickly as possible before the cat traps them. 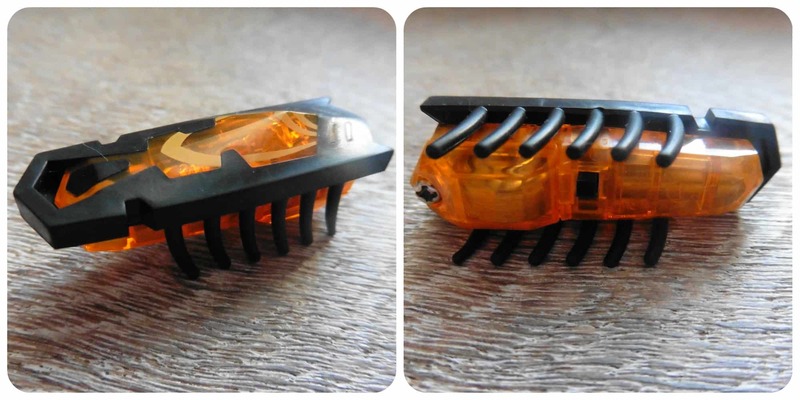 There is an added dimension to the game with the die which allows certain coloured mice to escape. 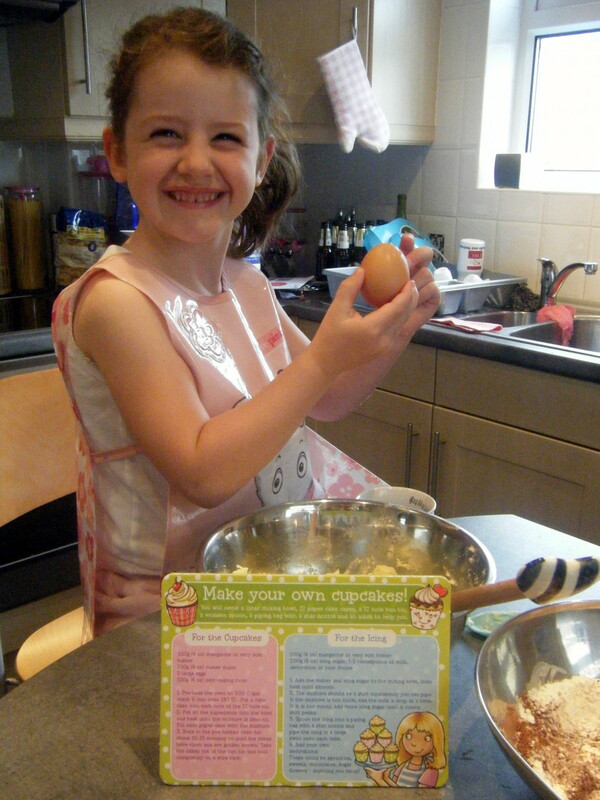 Miss M really enjoyed playing Catch Me!, more than I initially thought she would. 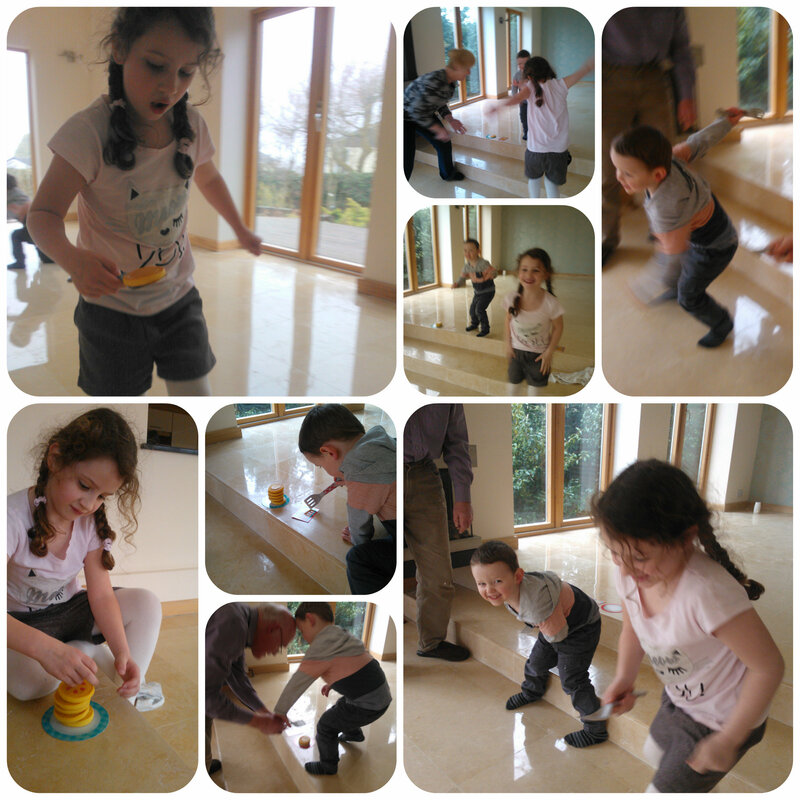 Although the game is over almost as quick as it is started, Miss M loved the thrill of pulling the mice away quickly or being the cat with the tin trying to trap the mice. 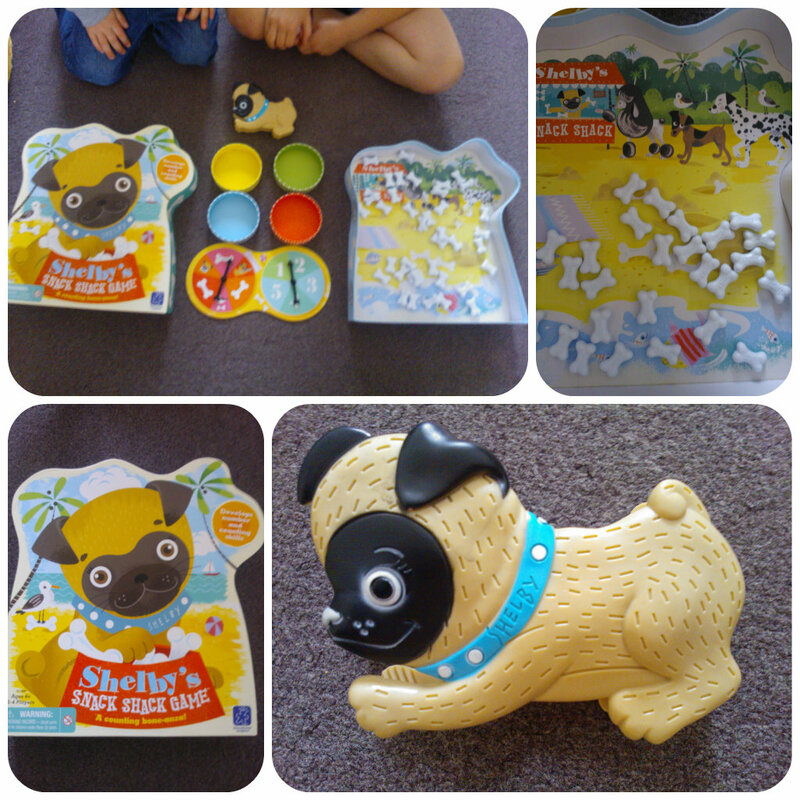 We had lots of fun and laughs playing this. 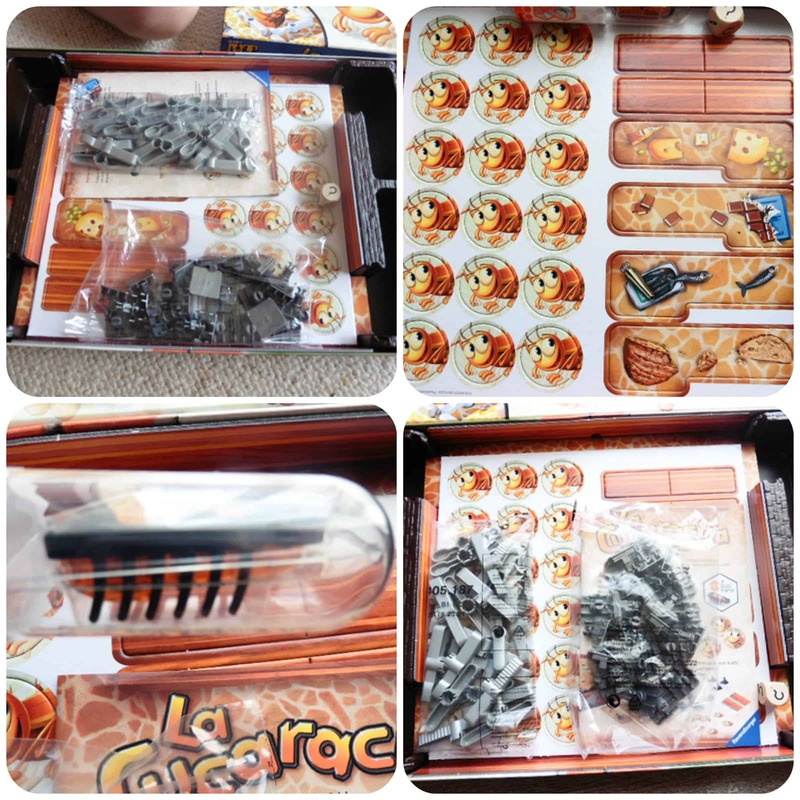 I love the little tin the game comes in and the pieces are all well made inside. This will definitely be coming on holiday with us this year and with up to six players able to play we can all join in the fun. 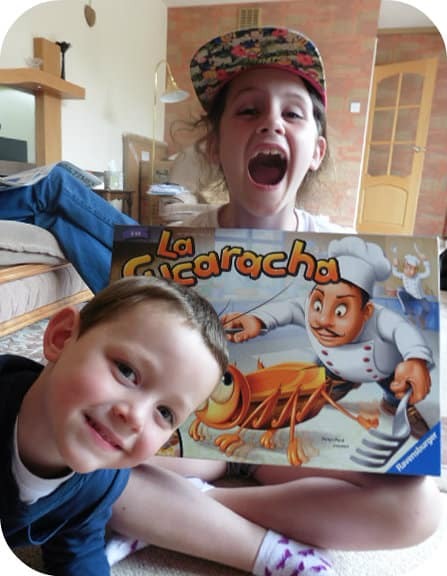 We love this game from HABA and Miss M gave it a big thumbs up! With Miss M being an avid lover of games I was really pleased to try The Sneaky, Snacky Squirrel Game from Learning Resources. 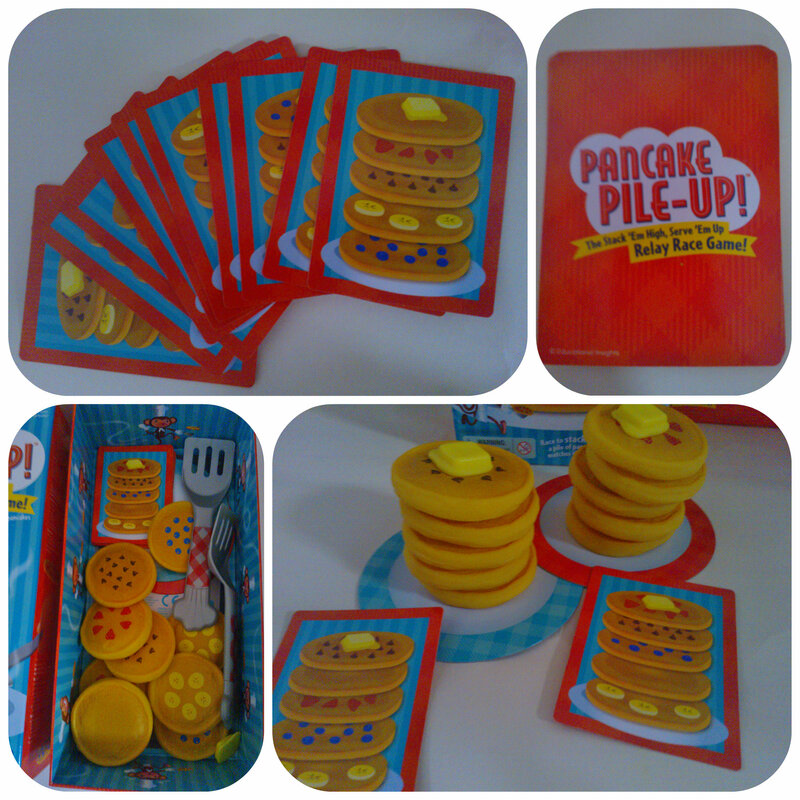 It is a simple, fun game for 2-4 players aged 3+. The game is set in a delightful tree shaped box with a lovely woodland theme to it. The object of the game is to be the first person to collect one of each of five coloured acorns in your tree stump. The acorns are placed in the inside of the tree shaped box and using a spinner determines the action you can make, pick up a particular colour acorn, pick one of your choice, miss a go or steal an acorn from another player etc. 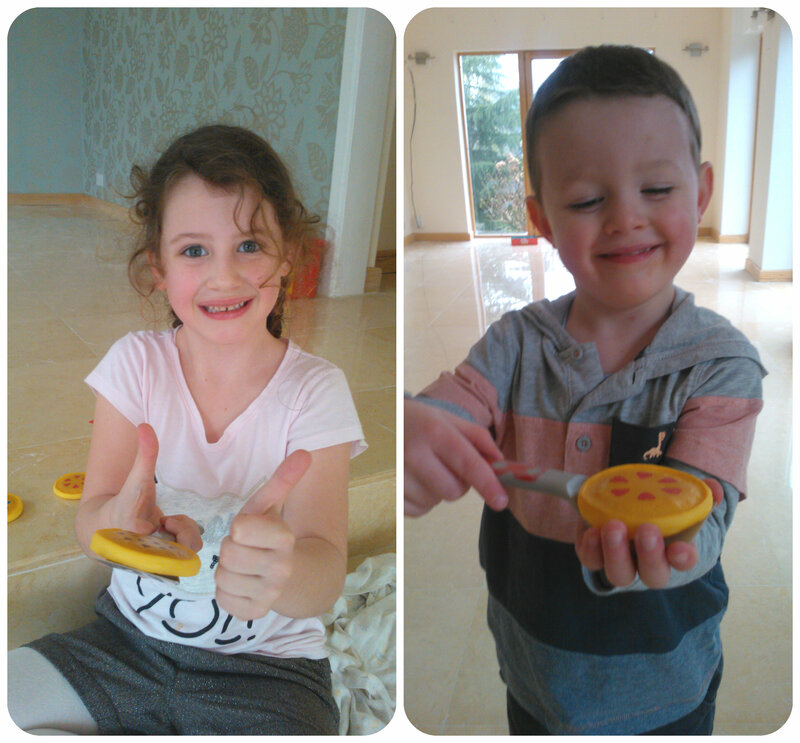 The highlight of the game for my children is the Squirrel Squeezer – a plastic squirrel shaped set of tweezers used to pick the acorns up from the box and transfer them to your tree stump. 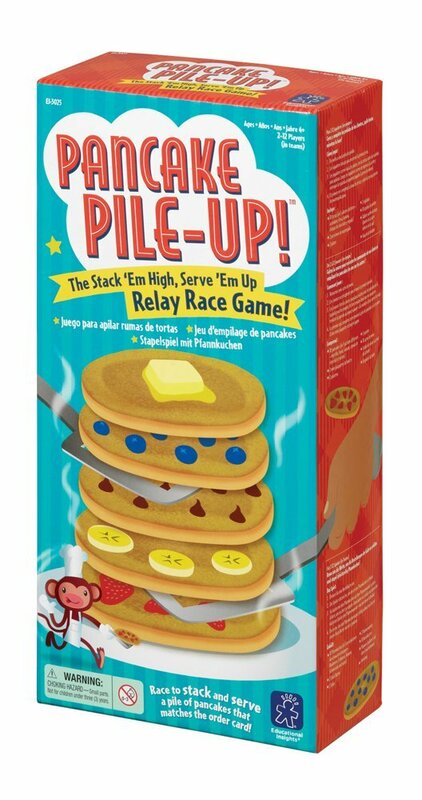 These are very strong, sturdy and definitely gave the game an added dimension of fun. 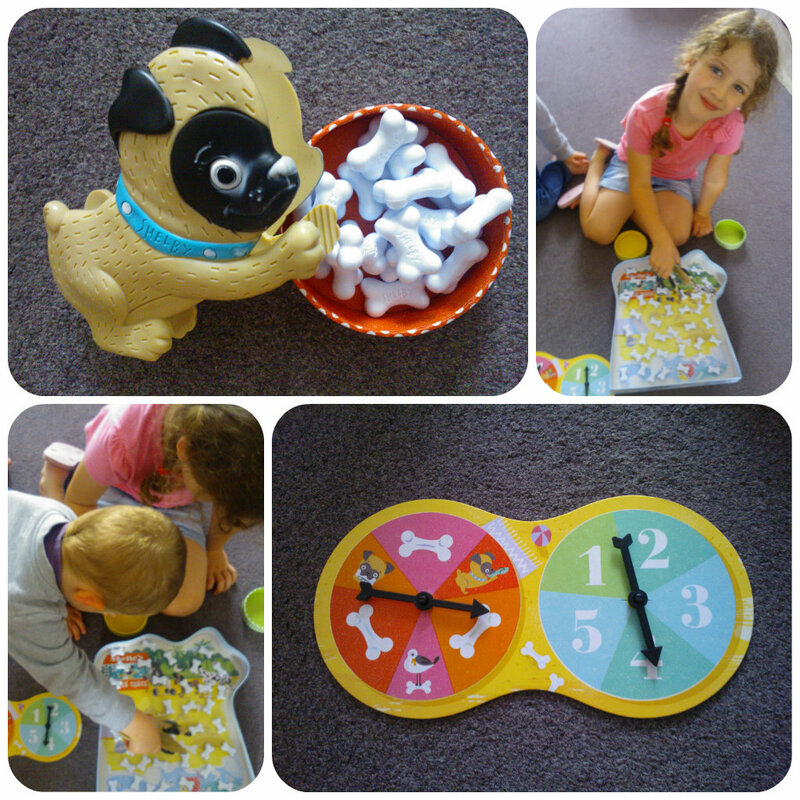 Although the game is fairly simple, it does encourage colour matching and improve fine motor skills along with a bit of strategy when choosing which player is best to steal acorns from. 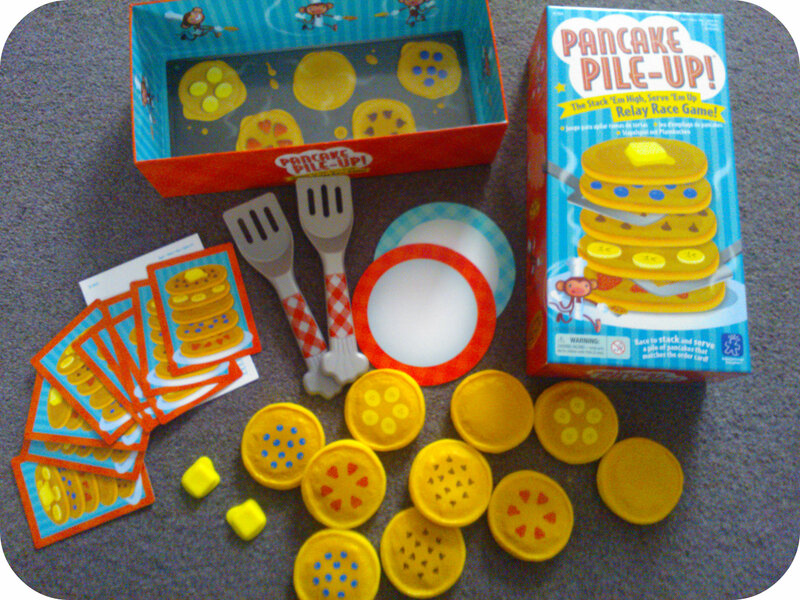 This is a fun game suitable for younger children but is easily enjoyed by all the family. My five year old also sat quite happily playing it with her friend without the need for adult supervision. 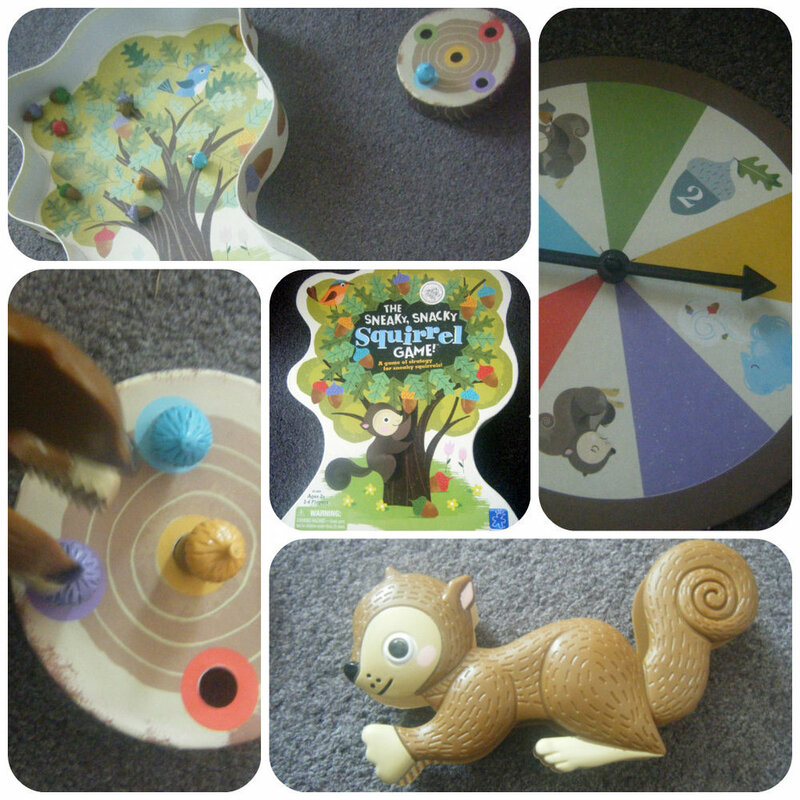 We’ve enjoyed this game, it’s been played everyday and is a great for entertaining young children – even my 2.5yr old enjoyed using the squirrel to put acorns in a tree stump and tell me what colours they were!! 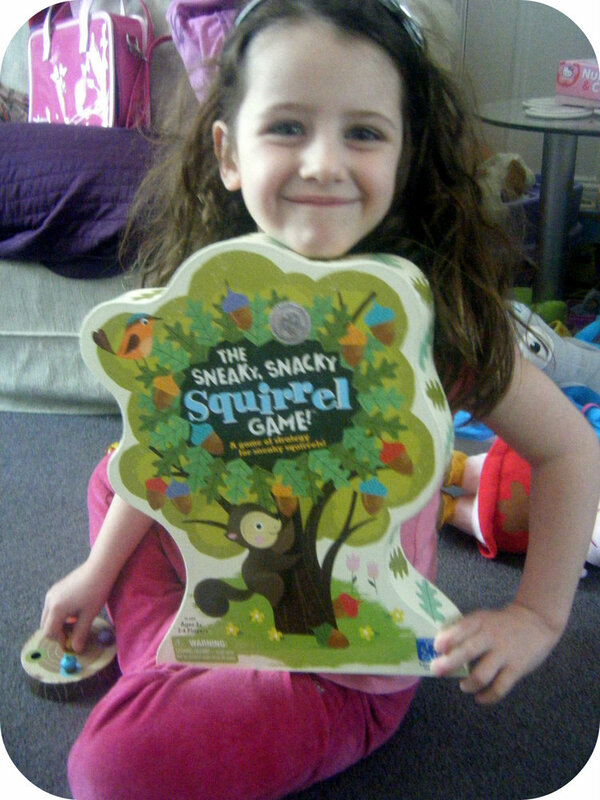 If you’d like to win a Sneaky, Snacky Squirrel Game for yourself then head over to the Learning Resources Facebook page before 30th April 2013 where they are running a competition to win 1 of 5 copies.